The portal only lists the broad results of Department of Health inspections, not the number of violations. 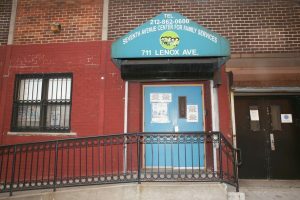 For instance, the city has slapped the New York Institute for Special Education in the Bronx with 67 critical and public health hazard violations in the last three years, DOH records show. The Web site shows only 13. The center received 54 violations in March 2016 for failing to arrange or conduct criminal background and child-abuse checks on staff or failing to re-clear employees. Child Care Connect shows only one. All violations were eventually corrected, city records show. Bernadette Kappen, the executive director of the program, insisted the center never had 67 violations. Information on individual violations is available to the public on the city’s Open Data site, but even that is problematic. The city said the day-care data set contains extraneous information which makes sorting it accurately without special instructions impossible. It said it was working to provide better instructions on accessing the data after inquiries by The Post highlighted the problem. And some of the data is simply wrong. At the Horace Mann Nursery, an Upper East Side outpost of the Bronx prep school, inspectors found in 2016 that it failed to “minimize risk” involving a staffer with a “record of criminal activity or child abuse,” according to both Child Care Connect and Open Data. Such a violation would be particularly troubling for Horace Mann. Its prep school has been rocked by allegations of past sexual abuse of students by staff that took place from the 1960s to 1990s. Marcia Levy, the school’s nursery-school director, said the city never issued that violation and provided the paperwork to prove it. “That would never happen in my school in a million years,” Levy said. The city could not explain why Horace Mann was listed as receiving the violation.